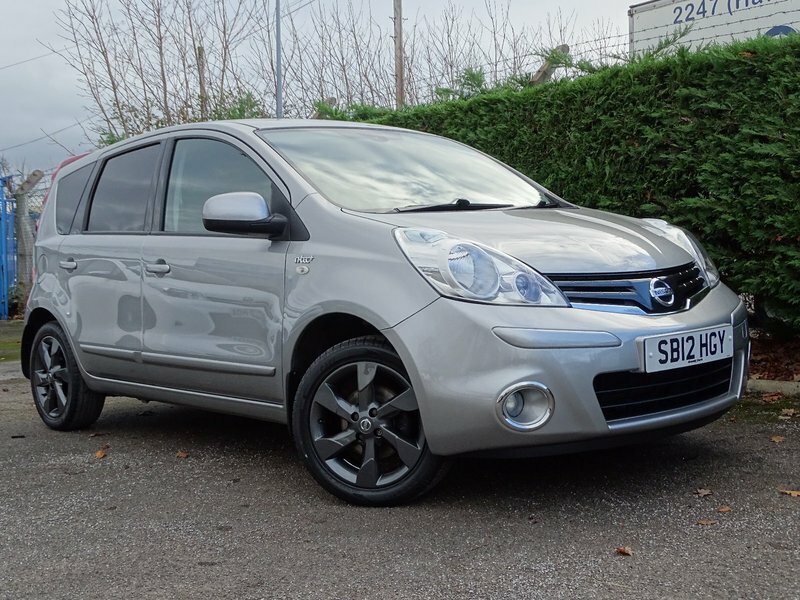 Lovely Nissan Note , 2 former keepers, 2 keys , Service history : 5 service stamps, Rear parking sensors, SatNav, 12 months Mot,12 months basic AA breakdown cover,3 months warranty, service and PDi inspection all included, 16in Two Tone Alloy Wheels, Audio with Bluetooth Compatibility, Auto Air Conditioning with Pollen Filter, Cruise Control and Speed Limiter, Drive Computer, Front and Rear Electric Windows, Nissan Connect, Rear Parking Sensors, Rear Privacy Glass, Single CD Radio, MP3 Auxiliary Input, USB Auxiliary Input. 5 seats, Silver, We are a Flintshire trading standards and AA cars approved car dealer , J.M Motors have been helping customers buy quality reliable used cars in Hawarden, North Wales for over 38 Years. On site servicing and workshop facilities ensure all our vehicles are prepared to the Highest Standards. Visit our Website for a full stock list www.jmmotorshawarden.co.uk or Find us on Facebook search : JM motors Hawarden where you can read more reviews.